Darren Wilson, the cop who unnecessarily shot and killed 18 year-old Michael Brown and then profited off of his death, will not face federal civil rights charges for the incident. Wilson was cleared of criminal charges by a St. Louis grand jury in November. DOJ found that Wilson's use of deadly force against Brown could not be proven to be considered "objectively unreasonable," and that federal charges were not appropriate. "There is no evidence upon which prosecutors can rely to disprove Wilson's stated subjective belief that he feared for his safety," states a DOJ report on the decision. Nonetheless, the news is a yet another disappointing reminder that Wilson will walk free because his cowardly and irrational fear for his safety was worth more than Brown's right not to be gunned down on the street. On Monday the New York Times released a damning and completely unsurprising report on the DOJ's research, which found that the Ferguson Police Department is a racist gang of assholes who willfully trample on the Constitution, only arrest black people and are responsible for worsening race relations in the area. But accountability in name isn't the same as accountability in practice. 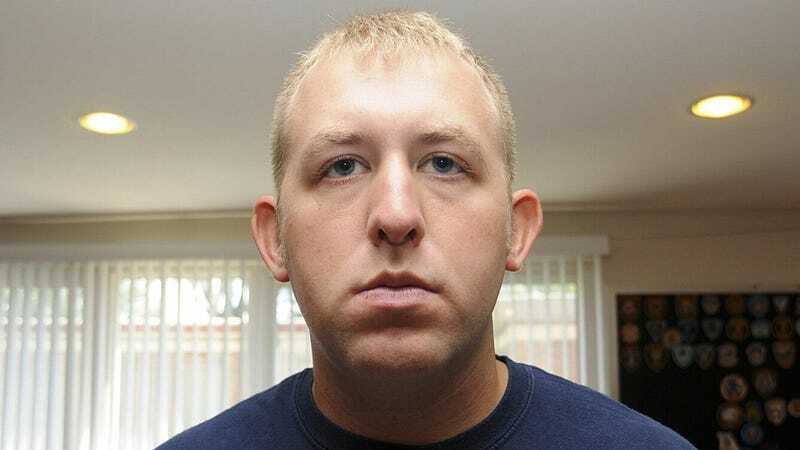 Like George Zimmerman, Darren Wilson will likely never be held formally accountable for murdering an unarmed black teenager. But here's hoping that Wilson hasn't gotten a good nights sleep since August 9th, and will continue to look over his shoulder in paranoia for the rest of his days.